Gartner has positioned MetricStream as a Leader in the first ever Magic Quadrant for Integrated Risk Management Solutions, published recently. The assessment of 16 technology providers was based on their completeness of vision and ability to execute. Read this report for Gartner’s overview of integrated risk management solutions and critical capabilities. 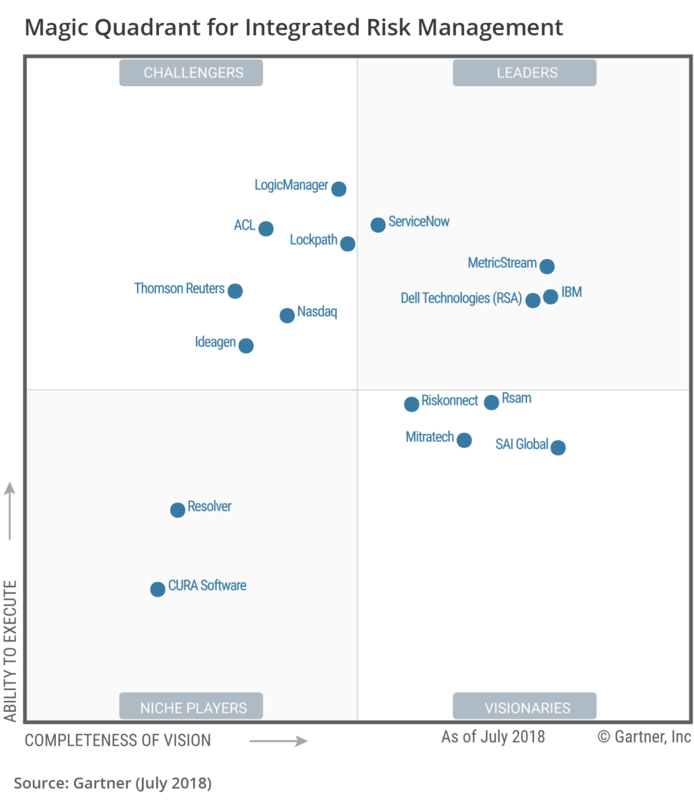 Gartner Magic Quadrant for Integrated Risk Management, John A. Wheeler, Jie Zhang, Earl Perkins, 16 July 2018.